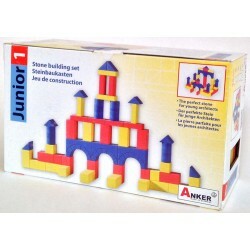 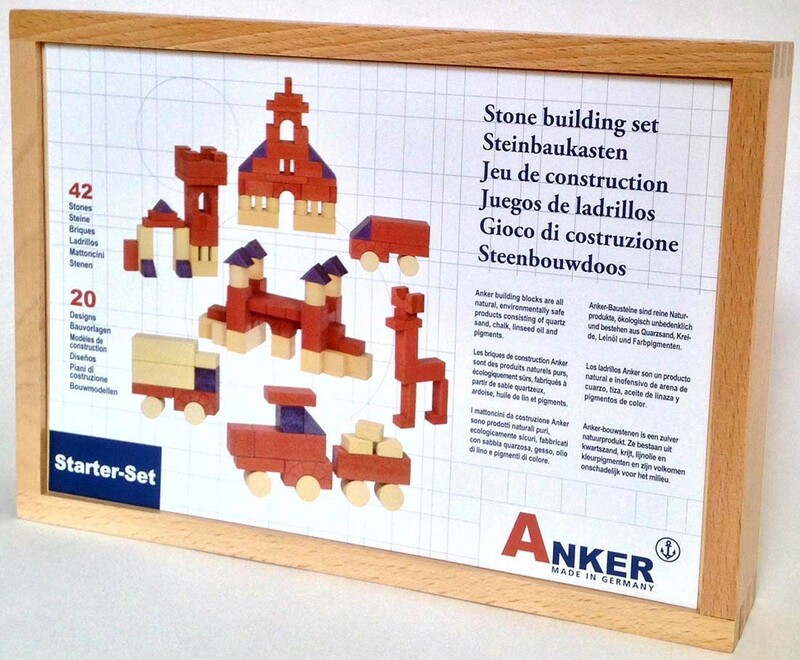 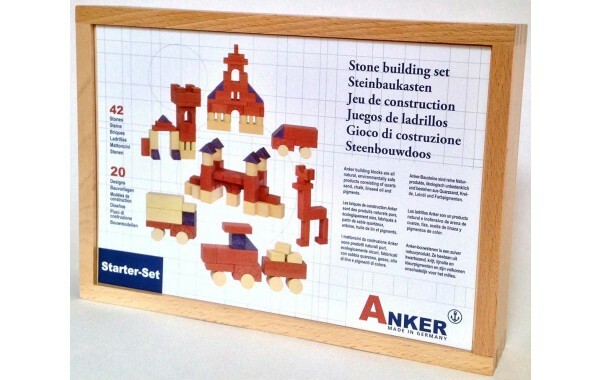 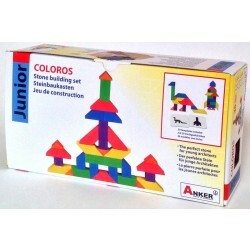 For the junior builder, a classic style starter set. 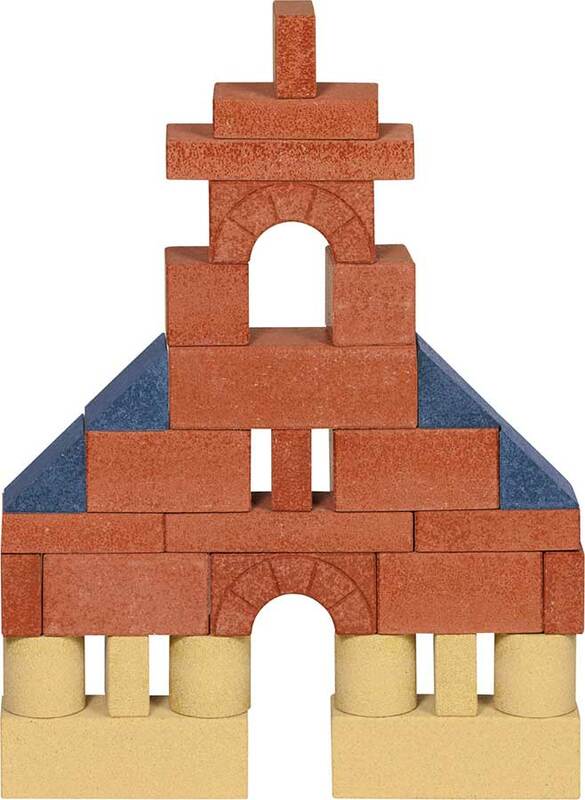 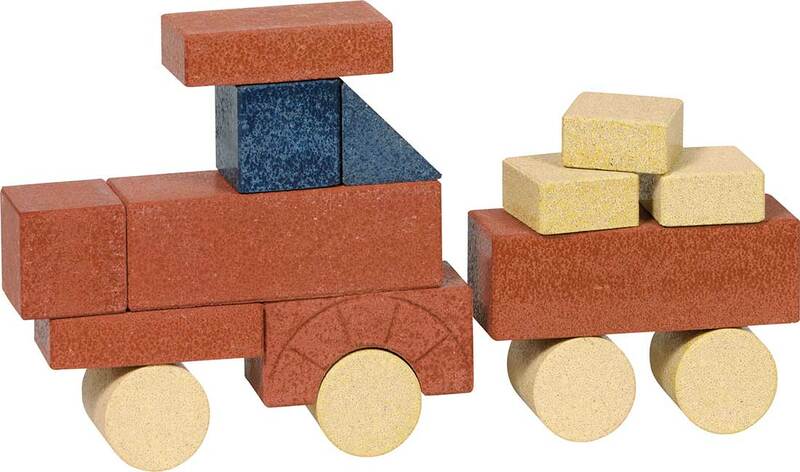 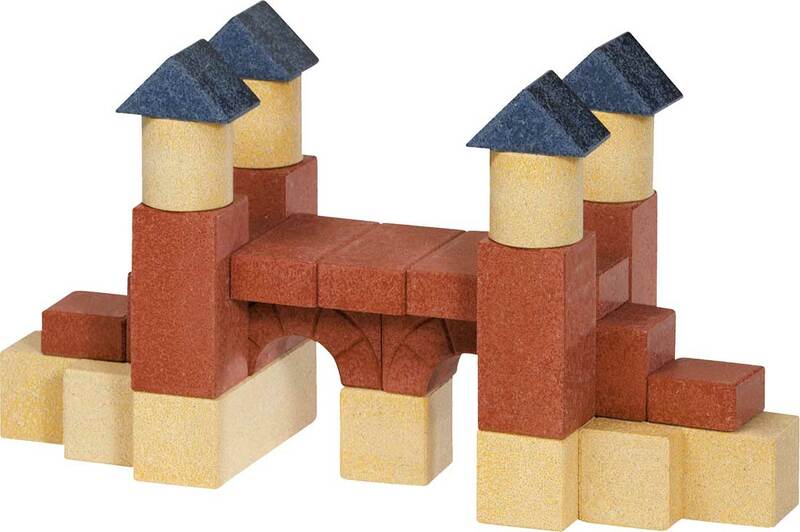 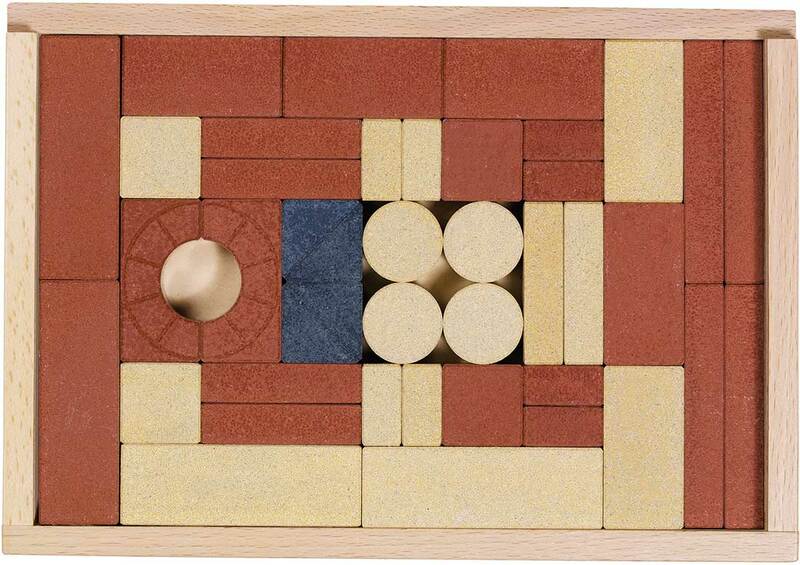 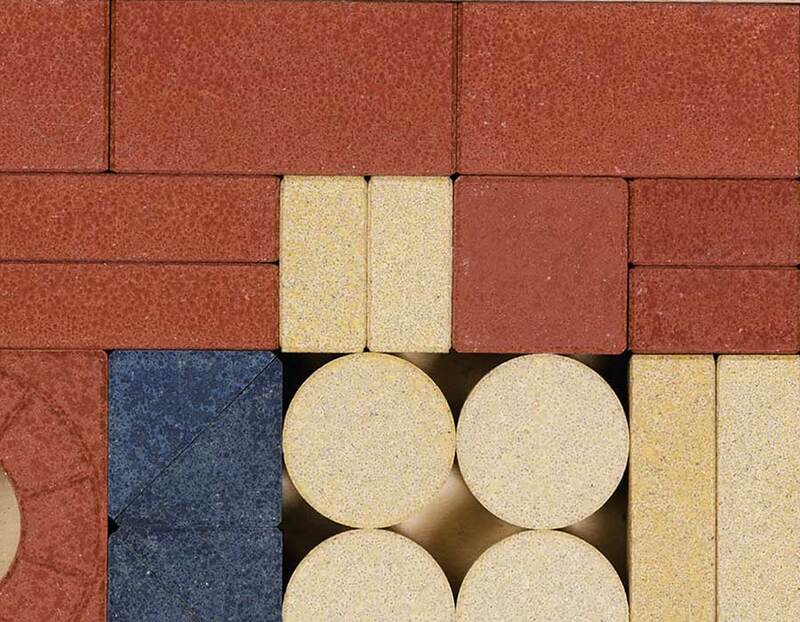 Includes 42 stone blocks in the three standard colors; brick red, natural sand, and slate blue. 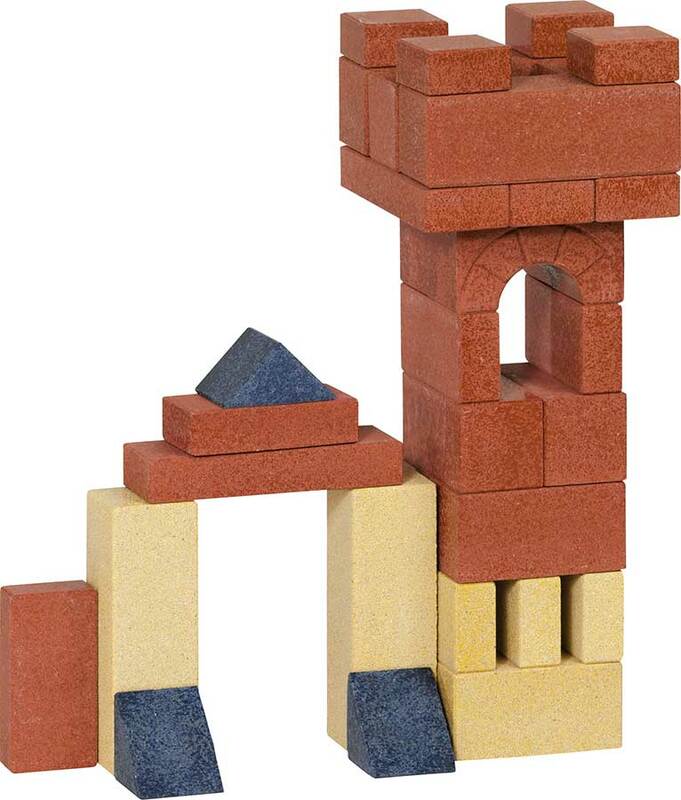 There's plenty of blocks for creative free-form building. 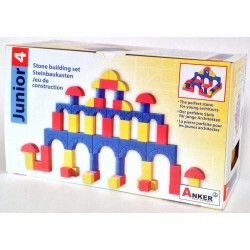 Or try the bridge, tractor, train, or a reindeer! 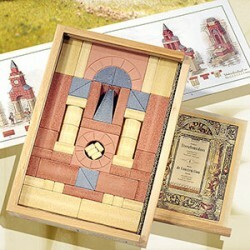 Includes the traditional wooden box for storage with a packing diagram and construction templates.